Eredan • Consulter le sujet - February 22nd 2018 - Legendary Packs re-edited! February 22nd 2018 - Legendary Packs re-edited! Sujet du message : February 22nd 2018 - Legendary Packs re-edited! The Legendary Packs and are now available in store for a limited time. Make the most of this opportunity! 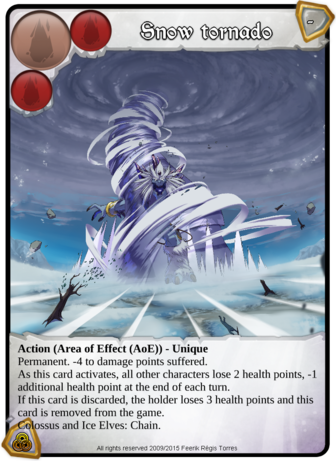 "Snow Tornado" or "Last Barrier" + 1 other Legendary card, 11 Rares, 48 Uncommons, and 84 Commons, selected from acts 5 to 14. 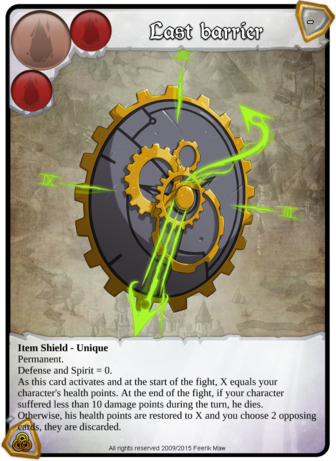 Also to be found in this offer: 1 Foiler card, 4 XP +100 cards, 1 XP +200 card, and 1 XP +500 card. Beware! The Legendary Packs will only be available in store until Thursday, March 1st at noon (CEST). Have a good end of the week on Eredan iTCG! Sujet du message : Re: February 22nd 2018 - Legendary Packs re-edited! Is it 2,000 Feez or less?